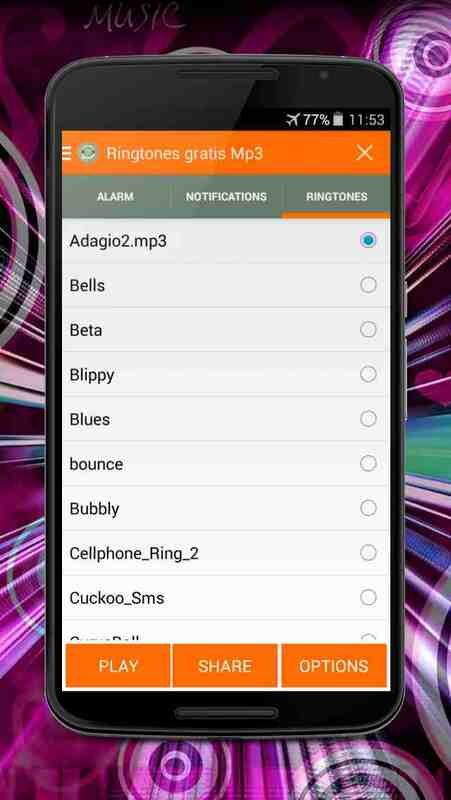 Ringtones free MP3, ringtones, tones, sounds and melodies to phone is the best app of mp3 ringtones to download free mp3 sounds to updated phone, with this app you can customize your notification tones, sounds email, SMS tones, ringtones calls tones, alarm sirens. - Assign a signal to a concrete contact. Without connecting, this sounds mp3 ringtones application works perfectly, valuations will be welcome.